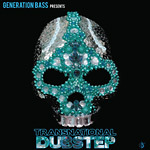 Transnational Dubstep is the first major compilation to document the groundbreaking fusion of dubstep and world music. Compiled by Generation Bass co-founder DJ UMB in cooperation with Six Degrees Records, the record pulls together some of the most exciting new producers in electronic music who are incorporating sounds from around the planet with the bass bin shaking thump of dubstep. By utilizing influences from Cumbia to Balkan- Chinese to Indian-Middle Eastern to Japanese- the songs on this unique collection represent the cutting edge vanguard of a whole new electronic sub-genre that is ready to capture the ears and imaginations of listeners world-wide.